Too bad they don't have smell-o-vision computer monitors! 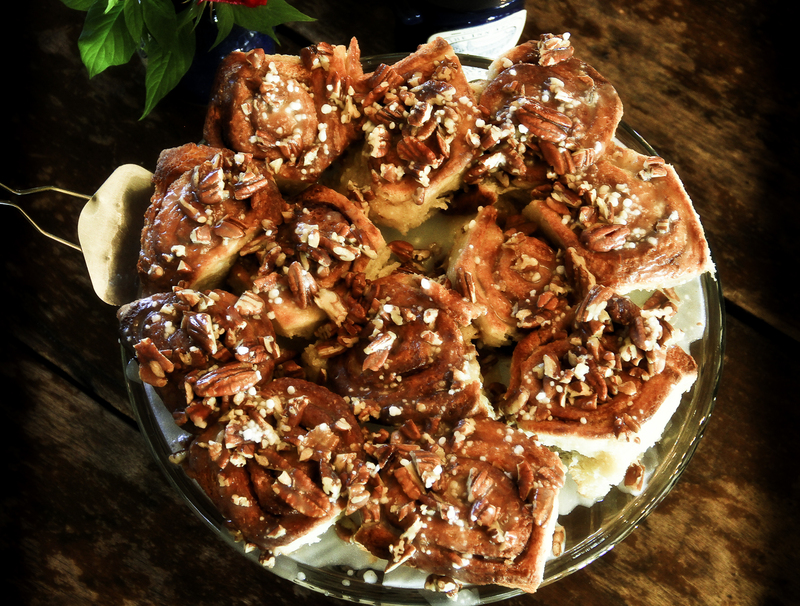 These fresh hot cinnamon rolls that Ryan made are amazing! 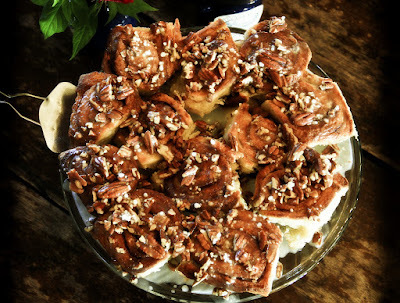 It's a cool fall morning in the Texas hill country and there isn't a better way to start your day at a bed and breakfast than a warm gooey cinnamon roll! Ah, they look so very yummy!! So, where is the recipe?? Or is this just a tease? I really tried to get up to see you guys last week but just could not fit in a visit. Have to come soon!